Carol Menke joined Cantiamo as Artistic Director in 2002. Well known to Bay Area audiences, she studied at the Franz Schubert Institute in Austria and has been coached by some of Europe’s finest recitalists, including Elly Ameling, Jörg Demus, and Norman Shetler. Upon hearing her perform one of his newly composed chamber works, the renowned composer Alan Hovhaness acknowledged and praised her “perfect musicianship.” Ms. Menke holds an M.A. in Vocal Performance from California State University, Chico. The Santa Rosa Children’s Chorus, with whom she has worked since 1984, continues to thrive and has achieved high praise during Ms. Menke’s tenure as Artistic Director. She is a member of the music faculty at Santa Rosa Junior College and Director of Music at the Church of the Incarnation in Santa Rosa. She teaches at her private studio in Santa Rosa. Renee Armstrong is a Family Physician in Santa Rosa who has been committed to musical performance as an avocation since childhood. Trained in classical piano she became interested in choral singing as an accompanist. She has sung with the UC Davis University Chorus and Chamber Singers, the San Francisco Bach Choir, Schola Gregoriana and now Cantiamo. Tyler’s love for music took a big turn in 4th grade when he first heard the school music teacher play the alto saxophone. He soon added a Bari Sax to his collection which was almost as tall as he was. Tyler has a passion for many music genres but when it comes to performing, choral music is at the top of his list. 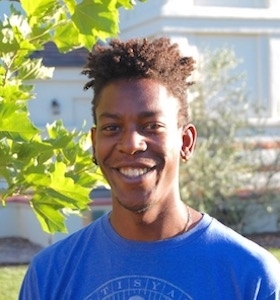 Tyler is currently a student at Sonoma State, has a passion for the culinary arts and loves people. Keven has been singing with Cantiamo Sonoma, and its former incarnation, The Schola Gregoriana, since its formation 20 years ago. A Graduate of Pomona College, Keven was a music major, studying with pianist Peter Hewitt. Keven continued his piano studies with Emile Naoumoff in Paris and with Norma Brown in Santa Rosa. He has sung under the direction of Robert Shaw, Jon Bailey, Greg Wait, Dan Earl, Bob Worth and, of course, Carol Menke. Keven and his wife Jeri manage their family business, Corrick’s, in Downtown Santa Rosa and are blessed with their daughter, Mikayla, who is also an avid singer! Nicolas Custer holds musicological degrees from UC Berkeley and UCLA. He is a cantor and music director of St. Seraphim Orthodox Church in Santa Rosa for whose choir he has written much, including a setting of the Divine Liturgy for Thanksgiving. Nicolas is pianist in a chamber music circle in San Francisco and a collector of curiosities. 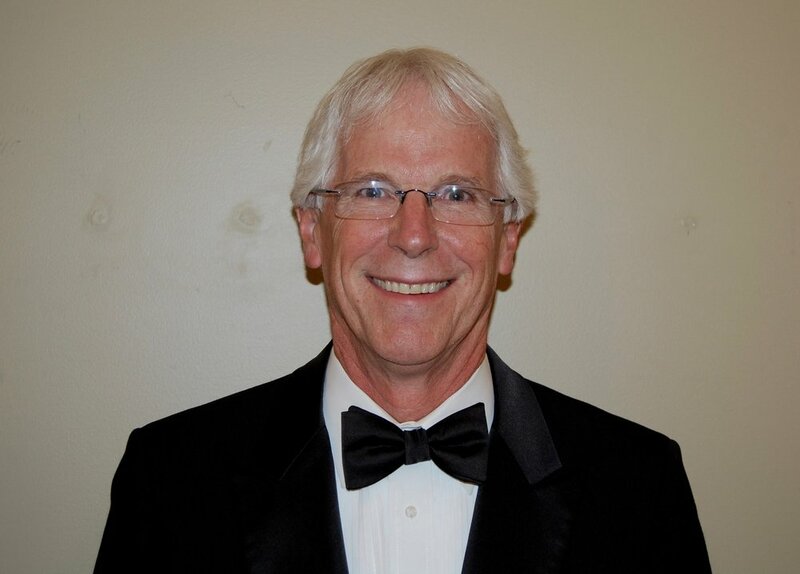 Taught choral music for 39 years, the last 28 years at Santa Rosa High School - recently retired adjunct Santa Rosa Junior College director of the Santa Rosa Symphonic Chorus, presently director of the Redwood Empire Sing Along Messiah - 35 years. Is married to his wife Connie for more than 40 years. He is honored to be singing with Cantiamo Sonoma. Elizabeth has enjoyed singing since she was a child. She began singing with the Santa Rosa Children’s Chorus as a young girl and continued singing in choirs throughout high school and college, also taking voice lessons and performing in opera workshops. Her childhood piano lessons laid the foundation for playing flute in the Santa Rosa Youth Orchestra and oboe in her college orchestra. 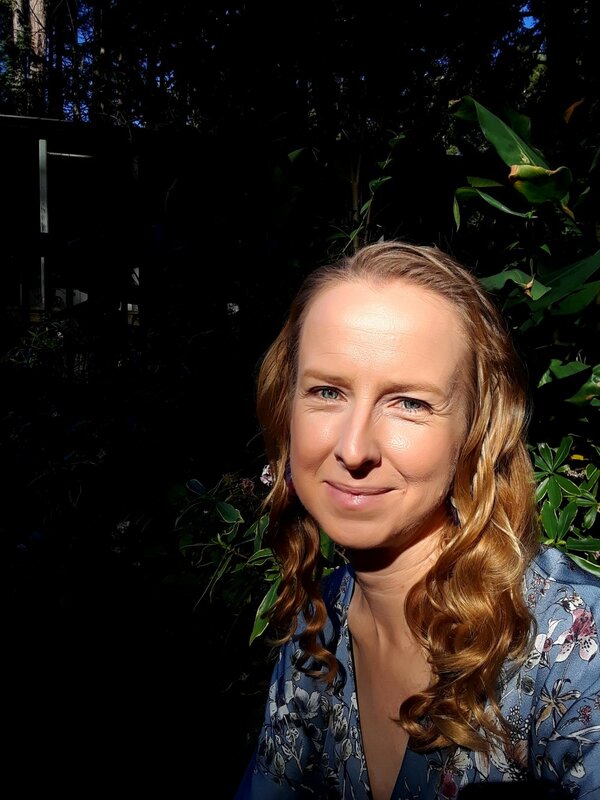 Raised on classical music, Elizabeth also loves world music, including Celtic and Japanese melodies, bossa nova, fado, jazz, blues, traditional African songs, and Latin rhythms. Liesel grew up in a musical family and started singing from an early age. 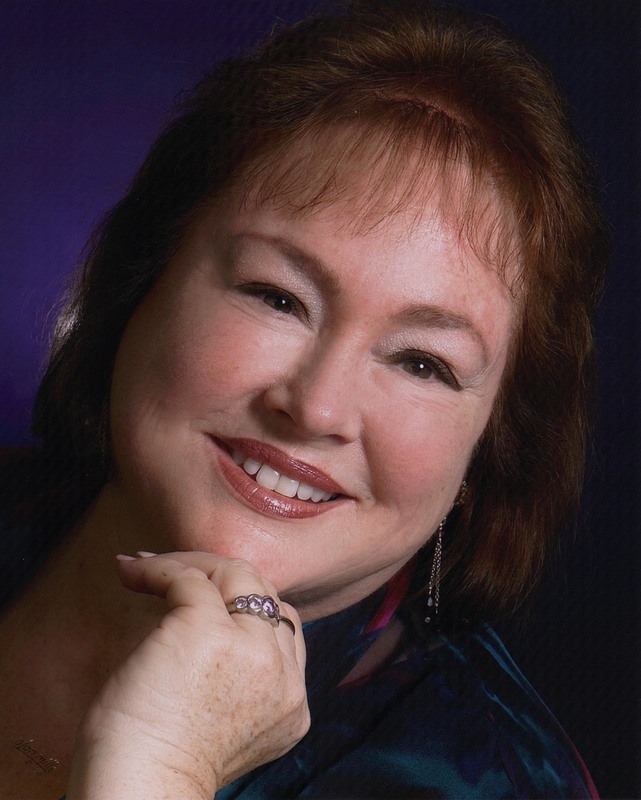 She has performed in community theater, choirs, and entertainment groups throughout her life. She received a Bachelor of Arts from Brigham Young University-Hawaii in 2001. Liesel is a mother of four lovely children who keep her very busy, but makes time for musical performances when she can. She has been a soloist in the Bay Area performances of Rob Gardner's Oratorio, Lamb of God, for the past three years. She has been singing several years with Vinyl Revival, an all women singing group whose focus is on music from the early 20th century. Liesel joined Cantiamo Sonoma in January of 2014, and is enjoying the experience. A native of Ohio, Joan Helmes has enjoyed music since childhood, and began a lifetime love of choral singing in high school. Before she joined Cantiamo Sonoma, Joan sang with a number of large and small choral groups, including the Cincinnati May Festival Chorus and the jazz octet Menage. In addition to singing, Joan’s other passion is dog sports, where she competes with her dogs Phoenix and Rowan in nose work and dog agility. Joan holds an MBA from Xavier University, and is employed as an engineer / project manager at a telecommunications company in Santa Rosa. Linnea is an active community singer and educator. In addition to singing with Cantiamo Sonoma, she sings at the Santa Rosa Junior College and the St. Cecilia Choir at Church of the Incarnation. She also assists with music theory instruction at the Santa Rosa Children’s Choral Academy. She holds a Bachelor of Arts in Journalism with a Minor in Music from Humboldt State University. Linnea plans to pursue a career in teaching and further her vocal performance opportunities. Nancy earned a B.A. in music from San Francisco State University and an M.A. in humanities from Dominican University of California. She sang with the Masterworks Chorale of San Mateo for 17 years, performing in Europe and Carnegie Hall, at the Cabrillo Music Festival, with San Francisco Symphony, San Francisco Opera and San Jose Symphony. She has been a cantor at Saint Sebastian’s Catholic Church in Greenbrae since 1999. She enjoys life with her husband, Don, and their two Standard Poodles, portrait painting and teaching Zumba®. Laura spent most of her professional life back East playing the cello in the symphony orchestras of Cincinnati, Montreal, Rochester, and New Orleans. When she returned to California in 2005, she was delighted to join Cantiamo as well as the St. Cecilia Choir at Church of the Incarnation. Other choral highlights of her life have included singing in Cincinnati's Christ Church Cathedral Choir for three choral residencies in England -at the cathedrals of Winchester, Salisbury, and Wells; and singing with the members of Chanticleer at five Chanticleer in Sonoma workshops at Sonoma State University. Laura continues her cello life as a free lancer, orchestral and chamber musician, and private teacher. Gary has been interested in music since childhood where he learned to play the piano, guitar and accordion. As a graduate of West Point, he served overseas as well as various Army posts in the U.S. where he and his wife Jeanne were involved in Community Theater and performed in number of musicals. After the military, his family moved many times but always participated in the local music scene by joining choirs as well as chamber groups. Currently, he is singing with the St. Eugene’s Cathedral Choir. This choir has toured Europe including a singing competition in Rome. Jeanne has participated in choral groups since childhood, plays piano, and performed in joint concerts with the West Point Glee Club and men’s choir of Stevens’ Institute at her alma mater, The College of Saint Rose, in Albany, NY. She was a member of the Western NY Chorale and performed in several community theater musicals in Buffalo, NY. An elementary classroom teacher for over 25 years, Jeanne staged and directed numerous school musical productions. She currently also cantors and continues to sing with the St Eugene’s Cathedral Choir here in Santa Rosa. Bill is a native of Illinois and came to Santa Rosa by way of Indiana and Pennsylvania. He works as an electrical engineer by day and enjoys singing and long tandem bike rides with his wife Nancy in the off hours. Bill discovered his passion for singing in his mid-thirties and sang with the Sonoma County Chamber Singers for a decade. In addition to Cantiamo Sonoma, he sings with several small ensembles, including many years with The Merrie Olde Christmas Carolers during the holiday season. He has also performed in musical theater with the Santa Rosa Players and 6th Street Playhouse. Derrick has had a love for singing, especially choral singing, ever since he was in middle school. After moving to Santa Rosa from Maui, Hawai'i, he attended Santa Rosa Middle School where he attended his first choir classes. He then went on to Santa Rosa High School where he was apart of the Concert Choir and Chamber Singers for 3 years. He had the opportunity to travel to Mexico and also to perform in Disneyland back in 2008. He graduated in 2009 and decided to take a break from school. In the fall of 2012, Derrick decided to attend Santa Rosa Junior College in persuit of studying music and vocal performance. He has had the privilege of working with the most talented voice teachers of Santa Rosa, including Carol Menke herself. Shafiq is a graduate of Brown University in music history, where he also studied Voice and Flute. Following his high school choral activities, he sang with the Brown Chamber Choir and University Chorus with which he toured Eastern Europe. Later he sang with the Providence Singers and in Gilbert and Sullivan productions. Shafiq came to Sonoma County in 1993 to study massage and hypnotherapy and has sung locally with the Festival Singers of Sebastopol, the New Sufi Choir, and the Monteverdi Choir at Sonoma State University. He joined The Schola Gregoriana in 1999 and has happily continued with the group in its transformation to Cantiamo. An amateur composer, he is Cantiamo's composer-in-residence, with his works appearing occasionally on our programs. You may recognize Shafiq as the host of "Out of the Box" and of "Sunday Classics" on KRCB-FM here in the county. Shafiq recently changed careers after working at KRCB as a grant writer for 8 years, he graduated from the Paralegal Program at Sonoma State University. He now works in downtown Santa Rosa as a litigation paralegal. Anna has loved music for as long as she can remember. She began classical piano lessons at 5 years old, sang in her first opera as part of the children’s chorus in La Boheme at age 8, then sang with the Santa Barbara High School A Cappella Choir, Madrigal Singers, and Women’s Ensemble before attending the Young Artists’ Vocal Institute at UC Santa Barbara. Before Anna moved to Santa Cruz to join the tax profession, she sang for several seasons with Canticle, a Santa Barbara based a cappella group under the direction of Phyllis Zimmerman. Anna moved to Santa Rosa in late 2016 and is enjoying her new career in the business office at her son’s school. She is thrilled to have time to enjoy music again, and is honored to be singing with Cantiamo. Marla Tusa grew up in rural Canada where she developed a love of choral music at a young age. She has a Bachelor of Music from Brandon University where she majored in voice and a Bachelor of Education from Vancouver Island University. Mrs. Tusa has over 10 years of classroom music experience, 20 years of private piano and voice lesson experience and has directed youth and adult choirs, ensembles, musical theater productions, rock bands and concert bands. Marla lives in Santa Rosa with her husband and two young boys. She leads after school music enrichment programs at SRFACS and directs the choirs for the Bennett Valley School District. Connie, a native of Ohio, came to Santa Rosa in 1984. As a youth, her appreciation for classical music developed while dancing to the pianists’ accompaniment at her ballet classes. In high school, she had wonderful choral experiences in multiple choirs and musical theater. After college, she sang with The Village Singers at Disneyland and Knott’s Berry Farm. She was a cantor and soloist for St. Eugene’s Cathedral for many years and now sings with the St. Cecilia Choir at the Church of the Incarnation in Santa Rosa. Throughout her nursing career and now retirement, choral singing has been her passion. Connie is proud to have sung with Cantiamo since 2006. She and her husband live in the redwoods of Occidental. Gene has been singing in choirs since he was 8. 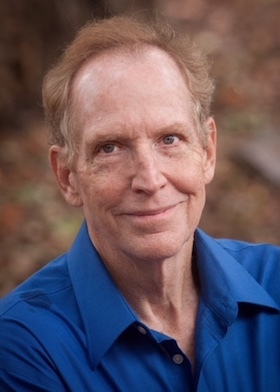 Upon retiring from his practice of psychiatry in 2013, he completed voice training with Jody & Peter Benecke, and has added opera and oratorio work to his repertiore. He sang 20 years with the Occidental community Choir and 6 years with the vocal band “Take Jack.” He has appeared in operas and musicals with Cinnabar Theater, Pocket Opera, and Verismo Opera. He has been with Cantiamo Sonoma since January 2018.